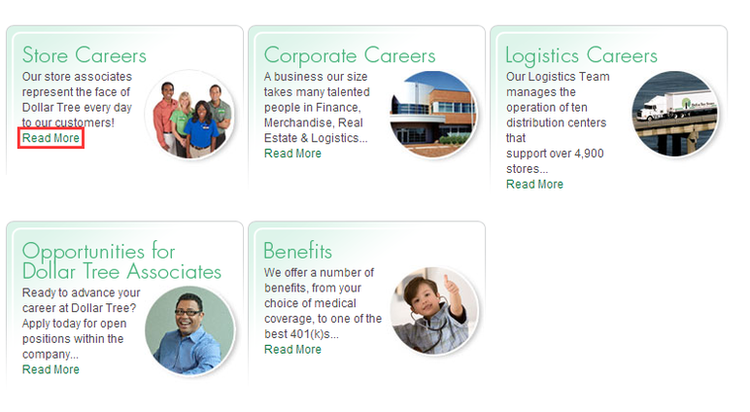 To apply for a job at Dollar Tree, you need at first go to dollartree.com/careers, and select a career area you want to work at from store careers, corporate careers and logistics careers according to your own qualifications and experience. After selecting a career area, taking store careers for example, two job types as hourly positions and retail management will be listed on the new page. If you are interested in hourly positions, you shall click “DOWNLOAD APPLICATION” to download an application form, fill it out, print it and then you could hand it to a store nearby. 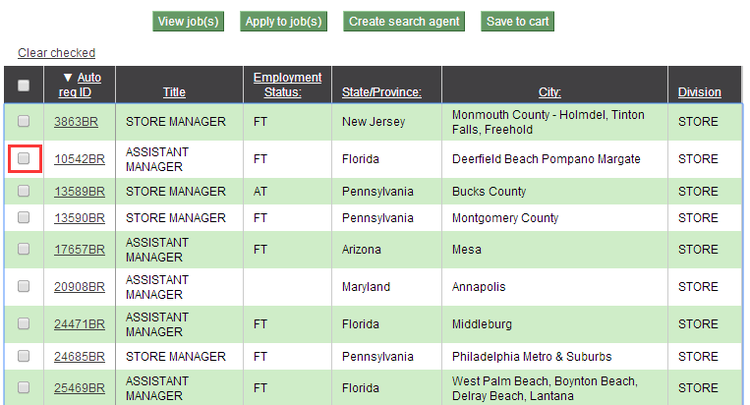 You may also click “SEARCH & APPLY” to see recent openings of retail management. 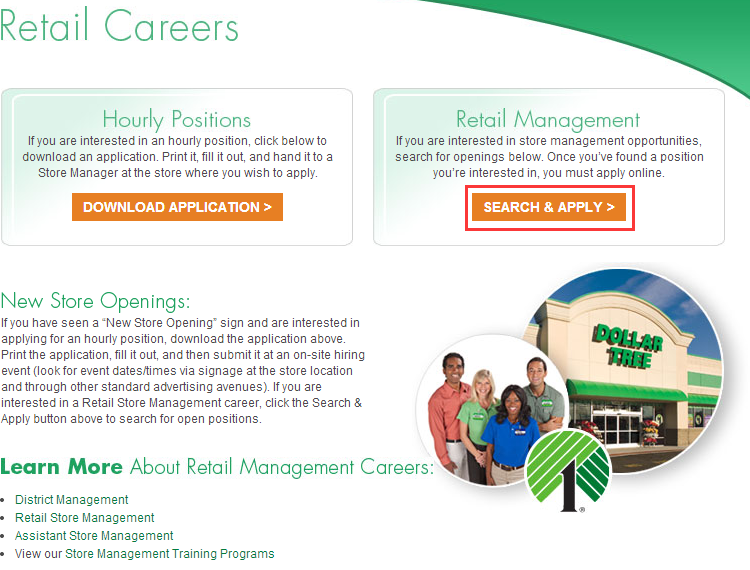 After you’ve clicked “SEARCH & APPLY”, you will land on Dollar Tree career portal, you can hit “Search openings” to continue your searching for current jobs at Dollar Tress. To find out your pointed jobs as soon as possible, you can enter certain information, such as the job title, keywords, your location and so on to filter all useless information. Check the box in front of your chosen position after you have selected a position according to your personal experience. Click “Apply to jobs” after you have read clearly about the job description. To start your online application, you are asked to create a new account of Dollar Tree if you are a new user. Or you may simply log in if you are a returning candidate. You can create your profile form by using this site or input your profile through LinkedIn or Facebook. After you have logged in successfully, you need to answer some initial questions posted by Dollar Tree. You shall also upload your resume and cover letter, which will greatly prove your qualifications and render you a higher chance to be hired. To complete your online application, you are required to submit your references or certificates relating to your chosen position. 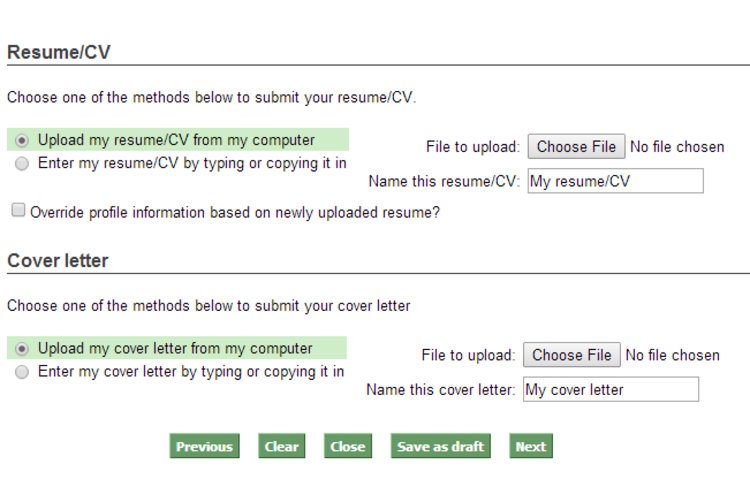 Then you need to fill out all fields within the application process step by step. Review these information clearly before you submit your application. And you will be contacted soon if you are proved to be equal to the chosen position. Click dollartree.com/careers to apply for Dollar Tree jobs online. jeff bennett 2018-05-12 07:29:50 Rated 5.0 trying to apply for asst. mgr. in key west fl.